Ahead of alleged relocation of 313 Internally Displaced Persons (IDPs) camping at Nigerian Defense Academy (NDA), Kaduna on Wednesday, 4th November by Kaduna State government, Nothern Youth Council (NYC) and other Civil Society, had on Monday said the attempt will be frustrated if proper measures are not put in place. They also said that the State Governor, Malam Nasir El-Rufai, has failed to fulfill feeding and other necessary items promise he made to the affected persons when he visited them recently after the leaked alleged ill- prepared arrangement to move them from Kaduna. Addressing newsmen in Kaduna on Monday, Abdulsalam Muhammed and YAhaya Salisu, the NYC Vice President and Publicity respectively, and other leaders of civil society to numerous to mention, said the IDPs should remain where they are pending when they will be thoroughly rehabilitated before being re-integrated back into the society. 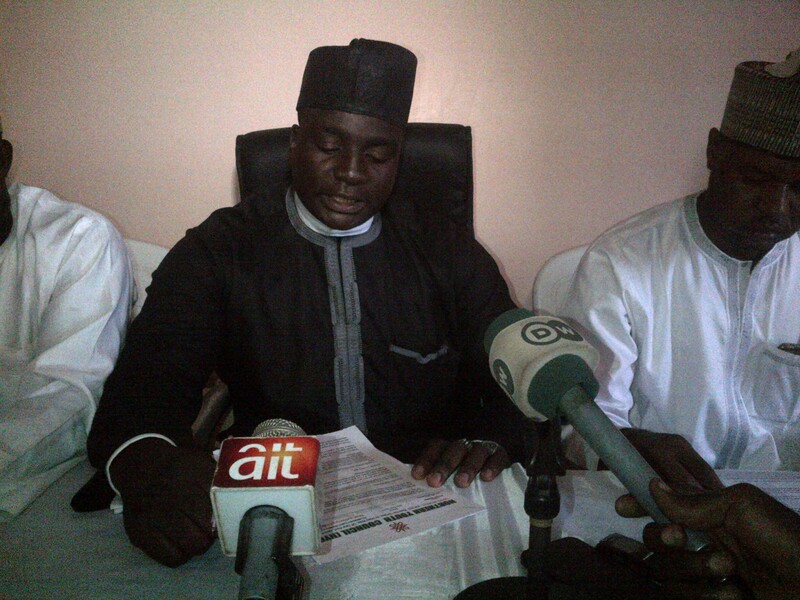 “Kaduna state government is yet to keep to her promise of providing food and other necessary item. Plans are still under way to evacuate the first set of IDPs on Wednesday the 4th of November 2015. “That the government and other relevant stakeholders make immediate and adequate arrangement to feed and support all camps around the country that will sustain them until they are properly deradicalised and prepared to go back to their respective communities. “That each and every case of IDPs must be classified and dealt with on its nature and merit as we believe there are a few that may be ready to go home so the need for individual arrangement is necessary. “We demand the leadership of NEMA under Alhaji Muhammed Sani-Sidi to give us account of how he has managed resources meant for IDPs as all the IDPs camps across the country are nothing to write home about, they stressed. The IDPs in the NDA camp are all women and children between ages 6 months and 80 years, believed to be all former captives of the dreaded Boko Haram including the 14-year-old girl that refused to detonate her bomb in Kano.